On September 9th, Dubspot is proud to join Roland and the AIRA crew in celebration of 909 Day to honor the classic TR-909 Rhythm Composer. To recognize the music and artists that were inspired by the famous drum machine we are also giving away a special edition TR-8 with a vintage 909 skin online. Enter for a chance to win below! Dubspot is proud to join Roland and AIRA crew for a celebration of the legendary TR-909 Rhythm Composer. 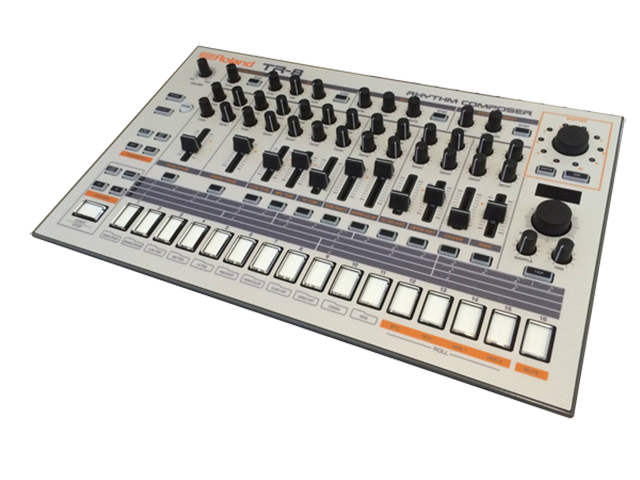 To celebrate 909 Day, we’re giving away a special edition TR-8 Rhythm Performer with a vintage 909 skin online. September 9th has become an annual celebration to recognize the music and artists that were inspired by the famous drum machine. To mark the occasion you’re invited to enter below for a chance to win the all-new TR-8, a performance rhythm machine that melds the renowned sound and vibe of the TR-808 and TR-909 with features and functions for the modern age. The Roland TR-909 Rhythm Composer is a classic drum machine hybrid that integrated analog and sample-base sounds. Introduced by Roland in 1984, the TR-909 was the brainchild of Tadao Kikumoto, the engineer who also developed the Roland TB-303. The TR-909 was the first MIDI-equipped drum machine, and its features included a 16-step step sequencer to drive a drum kit aimed for realism and cost-effectiveness. It is fully programmable, and like its predecessor, the TR-808, it can store entire songs with multiple sections, as opposed to simply storing patterns. However, the TR-909′s true legacy comes from its part in the creation of house and techno music.